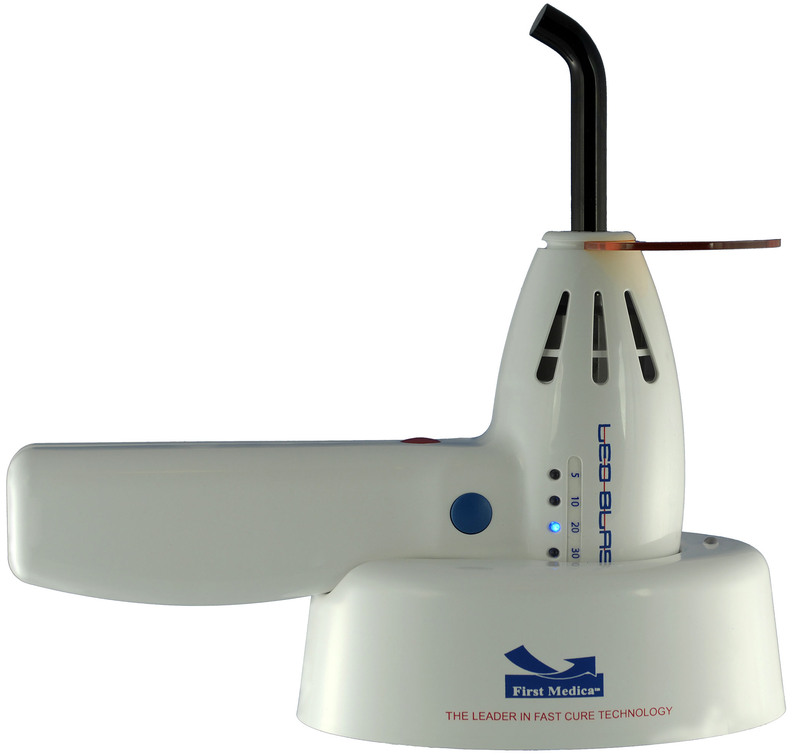 The New LED Blast fast curing light utilizes a chip-on-board LED module to create exceptional performance. LED technology eliminates costly halogen bulbs and reduces heat buildup. The new LED Blast cures in less than in less than 10 seconds with (1000 to 1500 mw/cm2) of continuous power. Each unit comes complete with an 11mm autoclavable light guide, anti-glare shield, and a charger base with power supply Long life batteries allow use all day and provides 750 five second cures with an overnight charge. Timing cycles of 5,10,20 and 30 seconds can be easily selected. The ergonomic pistol shape can be used with either hand and automatically charges when returned to the base. 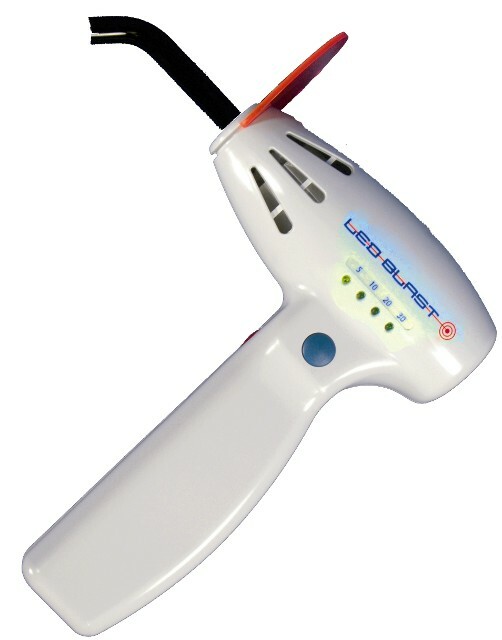 The LED Blast is backed by a no-hassle 2 year warranty.